If you have a good long memory, you may recall that last Summer, the U.K. panicked the investment markets by voting, in a nation-wide referendum, to exit the European Union. There were, of course, dire predictions about the impact on the U.K. economy, which never materialized, in large part because the U.K. had not yet formally opted out of its Eurozone agreements. At the end of March, the U.K. finally pulled the trigger, and made the departure from the European Union official. The Queen of England delivered her royal assent, and the U.K.’s envoy to the European Union handed-delivered a letter to the office of the European Council president in Brussels invoking Article 50 of the EU treaty. This delivered formal notification of the Brexit decision, the first time this has happened in the EU’s history. So that means those dire predictions will finally come true. Right? As it happens, Article 50 was intended to prevent any rash or immediate consequences of an exit from EU membership, and it seems to have accomplished that goal. Under the bylaws, the divorce will be negotiated, item by item, over the next two years, meaning that any change in economic circumstances will be gradual and perhaps accommodated as they happen. How gradual? Over the next several weeks, the EU’s remaining 27 members will discuss their priorities in advance of the negotiations, and then hold a summit on April 29. Only then will the European Commission have a mandate to negotiate with representatives from London. What will the negotiations cover? First up will be Britain’s obligations to the EU for its participation thus far—a bill that could total up to roughly $65 billion. Also: what will be the rights of 3 million EU citizens living in the U.K., and the rights of more than 1 million Britons living and working in the Eurozone? After that, it is speculated that the British government will seek to negotiate a broad free-trade agreement which will effectively replicate the provisions of its former membership in the European Union, as a way to protect its commercial ties with the Continent. This is where negotiations will get sticky, since France and Germany will almost certainly oppose a no-consequences exit, and they will want to protect their own economies’ free-trade access to Eurozone markets. On the EU side, a simple majority of countries will decide what proposals are accepted and which are sent back to the negotiating table—with one notable exception: any free trade agreement between the two sides much win unanimous approval. 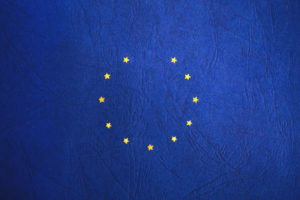 This latter issue is problematic for the U.K., because it exposes each country to yet another referendum on the conditions of EU membership; the citizens of France, Germany, Luxembourg, Ireland, Holland and, well, all the other nations would want to be involved in the final decision, which would give them yet another opportunity to voice displeasure with the EU and stir up nationalistic parties and sentiments. Also still to be determined are budgetary considerations. The U.K.’s contribution to the governing infrastructure of the EU will have to be made up by the remaining members, whose citizens are not eager to contribute more to the increasingly unpopular entity. The British government, meanwhile, will have to create an expensive governance infrastructure to replace the EU bureaucracy in Brussels, and Parliament will have to formally repeal the European Communities Act of 1972, making EU law U.K. law. Then, parallel with the EU negotiations, Parliament will debate every aspect of the EU law and decide which to keep long-term and which to drop. That, too, will take years. The bottom line is that nothing dramatic is likely to happen, economically and in the investment markets, for years. Throughout the two years of negotiations, the U.K. will remain a full EU member, albeit without a chance to participate in EU decision-making. Some are predicting that the discussions will last for several additional years, with extensions on the status quo until issues can be ironed out. Unpicking 43 years of treaties and agreements covering thousands of different subjects will not be an easy task. Those investors who overreacted to the initial (and shocking) Brexit vote sold their stocks into a market rally, and there is no reason to think that those who might panic now that the trigger is finally pulled will fare any differently. Both sides in this negotiation have a stake in not having anything dramatic—particularly dramatically damaging—from happening, and they will probably succeed in making Brexit a boring exercise in bureaucratic handover.